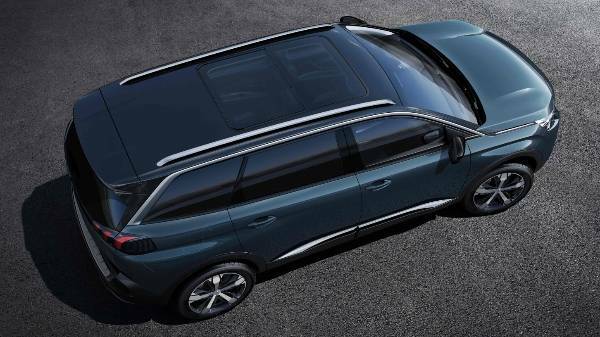 With the launch of Peugeots new 5008 SUV 7 seater we knew it was going to be special. And here’s why. What Car? Have named the Peugeot SUV as ‘Best Large SUV’ at the 2018 What Car? Awards. 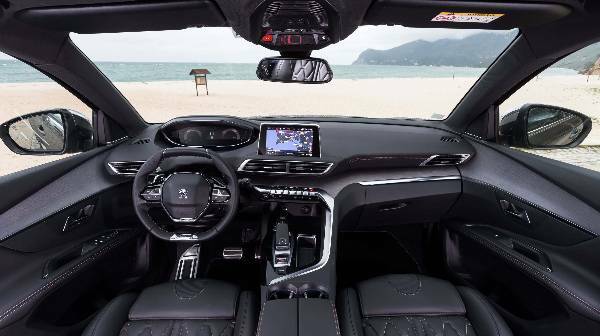 This groundbreaking Small Utility Vehicle (SUV) offers Peugeots new generation i-COCKPIT. 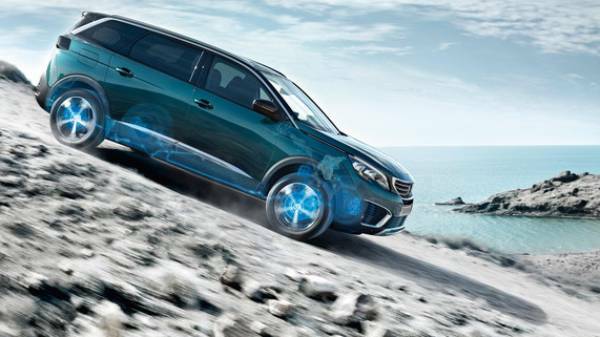 This provides the driver and passengers with a futuristic driving experience. Peugeot have gone with bold lines as well as an aggressive look from the front end. 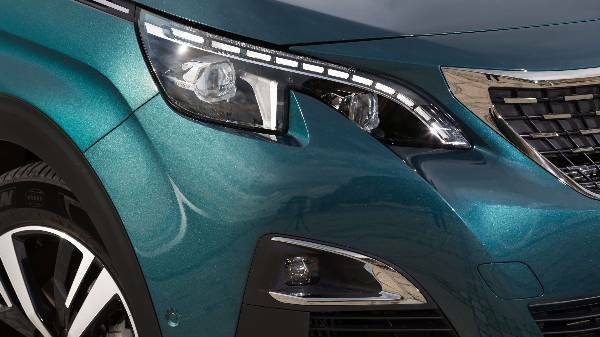 You’ll see the impactful Peugeot chrome grille, with chrome inserts. This flows into the signature LED headlamps that offer LED daytime running lights, making sure you’re seen wherever you drive to. The flat front face and horizontal bonnet creates that aggressive look and makes it distinctly comparable to the Land Rover Discovery. You’ll notice a raised ride height compared to the old 5008 MPV version. The option to sit your new SUV on a choice of alloy wheels, ranging from 17 to 19 inch wheels will give you that strong look you are after. The sculpted arches feature aerodynamic contours that lead around the car to the rear as the contours line up. 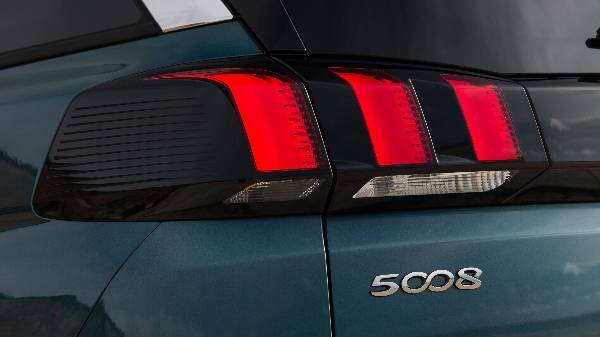 The first thing you’ll notice at the rear of this SUV is the claw shaped rear LED lights, offering the distinctive look for Peugeot design. The body contours follow around the rear, molding the bodywork with the rear bumper. You’re given a sporty look with the sleek spoiler enhancing the cars style features. The black diamond roof offers highlighted chrome accents running up and over the door pillars. You’ll also notice the chrome detailing on the lower side panels and rear bumper. It’s all these little touches that make up the cars unique style. The high-tech next generation i-COCKPIT comes as standard within this SUV. 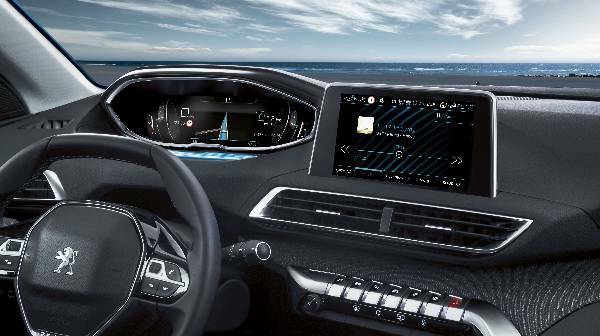 The 12.3inch heads-up display is positioned high-up close to the road providing a safer view for the driver. The i-COCKPIT is customisable, meaning you’re not stuck with your standard rev counter and speedometer any more. 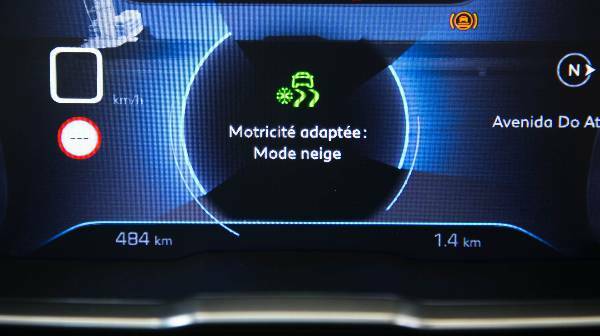 You're also offered an 8-inch touchscreen that’s driver focused, you hardly need to move your eyes from the road to see this screen. The luxury feel of the new 5008 cabin is apparent in even the smaller detail. The leather steering wheel has a compact design offering multifunctional buttons. Meaning your hands never need to leave the steering wheel. 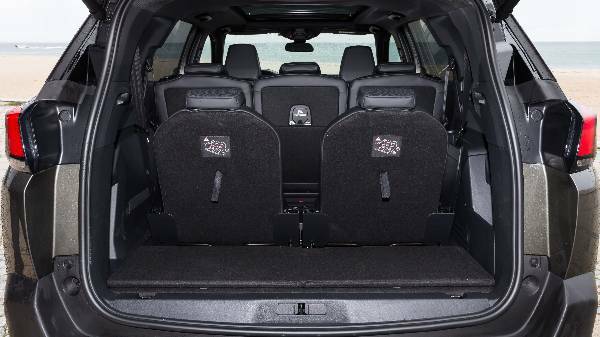 This 7-seater SUV offers ample room that means you don’t all feel squashed together. 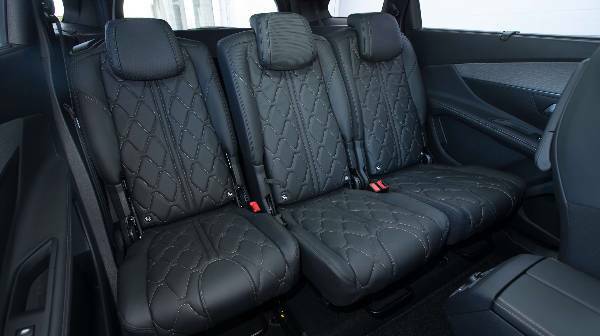 The 2nd row rear seats offer 3 independent seats. These can recline as well as move backwards and forwards offering passengers extra leg room. This doesn’t mean that the passengers seated on the 3rd row rear seats feel restricted. They have ample legroom and headroom. You've got an added bonus with the 3rd row seats too. You are able to remove the entire 3rd row rear seats if not in use to make this SUV a 5 seater with a huge boot space. 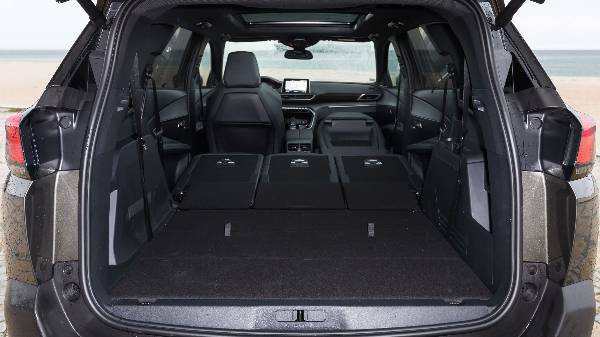 With a large family or extended family (including pets) you may be looking for a large boot space to fit everything you need. 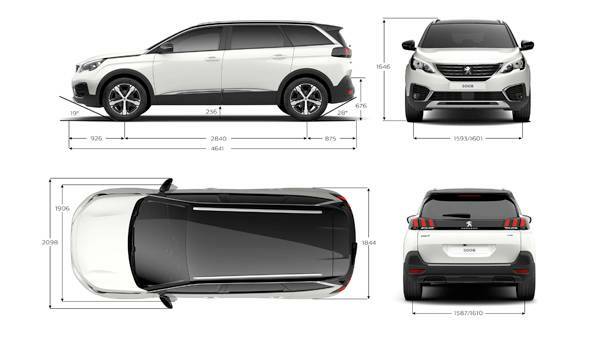 Well, the new 5008 SUV offers a 952 litres of space with all 7 seats in place. Remove the 3rd row of seats and you can increase this space to 1,060 litres of storage space. Need even more space? 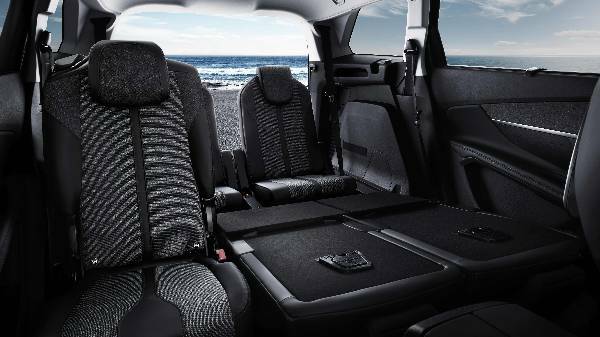 Fold the 2nd row rear seats flat and this SUV offers you 2,150 litres of space to fill with whatever you want. Making runs to the tip or the beach a breeze. Access to the rear boot space made easier by the Smart Electric Tailgate. Move your foot under the bumper and see the rear tailgate pop open. Making your life easier when you have your hands full. 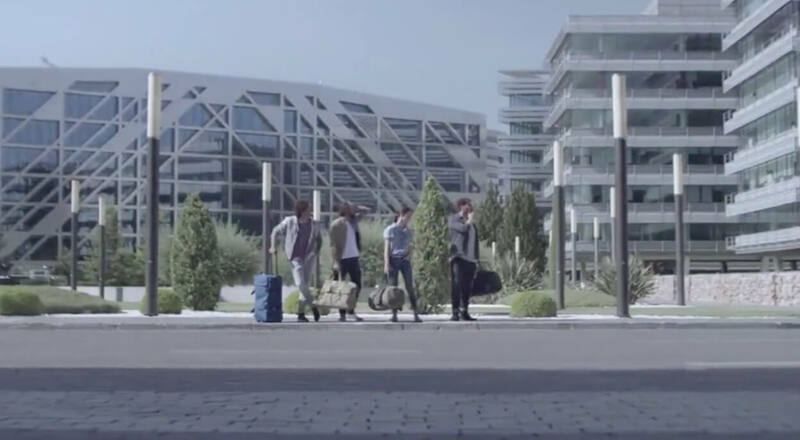 Peugeot know how to create a safe car and have made sure everything is included in this SUV. It’s full of your standard safety equipment as well as driver assistance systems. 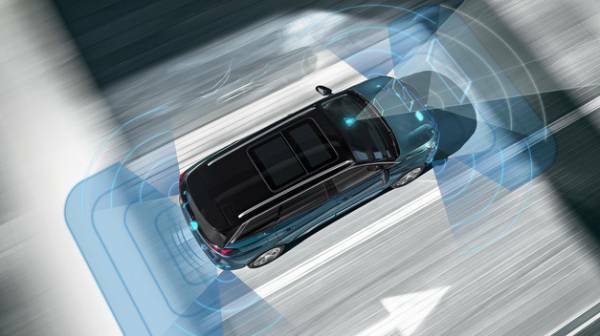 Other features from the Allure version and upwards benefit by offering Peugeot Connect SOS and Assistance. This is a system that means once an airbag is triggered the system locates the cars exact location and then alerts the appropriate emergency services. 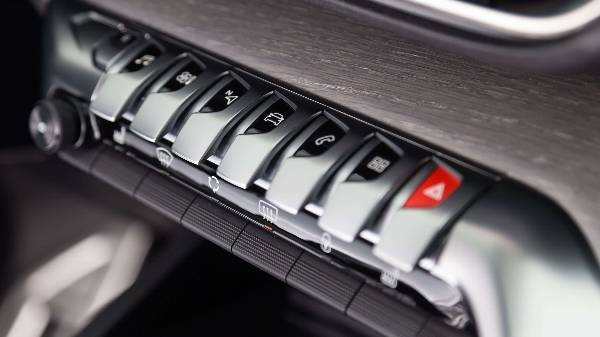 Advanced Grip Control operates from a thumb control located in the center console. 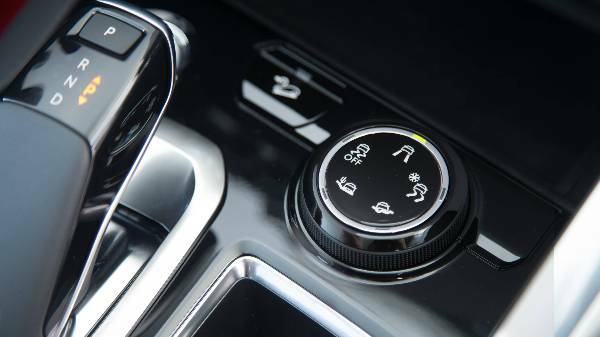 A turn of this button adjusts the cars setup to deal with the most difficult conditions. The 5 settings include Mud, Sand, Snow and Hill Descent. The Hill Descent feature operates on gradients more than 5% and with a vehicle speed of 19mph or below. The system will make help you get to the bottom without slipping. The system controls the brakes and speed for you. This is a Euro 6* diesel engine that combines high performance with restricted emissions. Who knew engine technology could achieve that? Peugeot has. The combination of Selective Catalytic Reduction (SCR) and an adaptive Diesel Particulate Filter (DPF) reduces fuel consumption and restrict emissions between 106 and 124 g/km CO2. This reduces nitrogen oxide emissions by up to 90% and eliminates 99.9% of fine particles. This engine is available as a 100hp, 120hp, 150hp and 180hp unit and comes combined with the EAT6 automatic gearbox on some versions. This 3-cylinder PureTech Euro6* petrol engine offer a higher efficiency due to their reduced weight and size. It still delivers a high-level of performance without compromising reliability. This engine has won awards, the 1.2 litre PureTech 130 S&S engine was voted engine of the year 2015 and 2016. This engine offers emissions of 117 g/km of CO2 and can be paired with the EAT8 automatic gearbox. 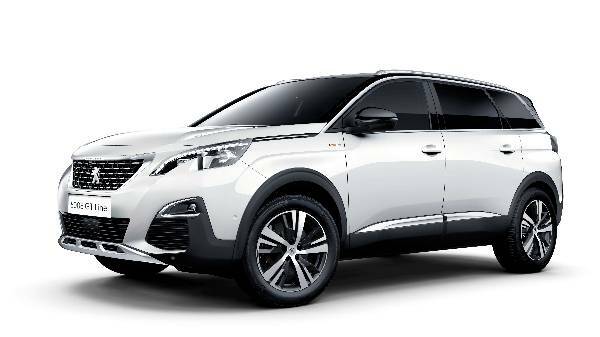 If you’d like to take this adventurous and family-friendly 7-seater SUV for a test drive, simply contact our Peugeot dealerships today. 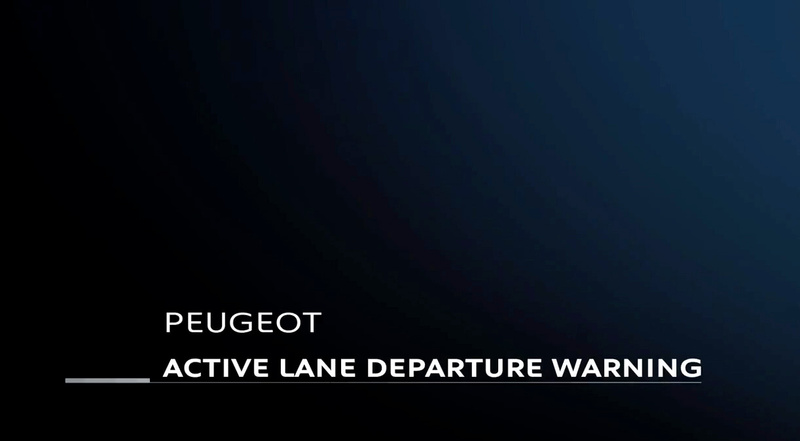 A helpful member of the Howards Peugeot team will be able to provide you with what current Peugeot Leasing offers we have on this fantastic model. 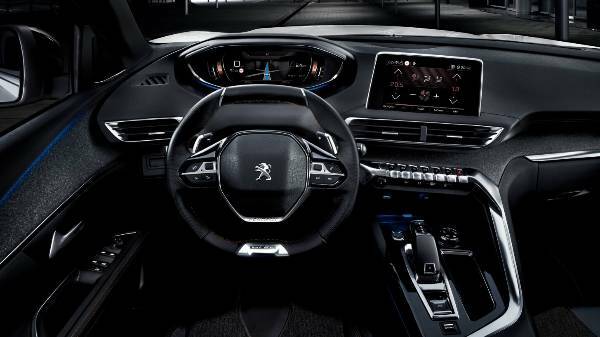 Alternatively, head down to one of our Peugeot dealerships in Dorchester, Taunton Weston-super-Mare and Yeovil, where you can view the luxury of this car and get a feel of what it will be like to drive.